Looking south on 16th Street NW. The architecture is a blend of classic and modern, the scale human and walkable. 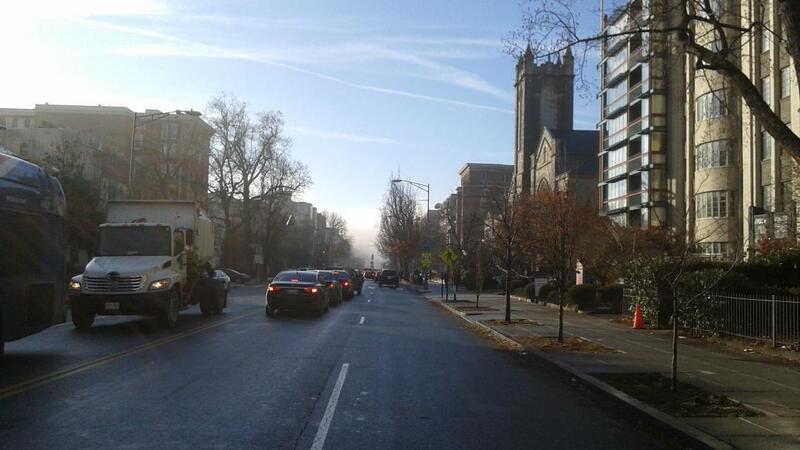 Although misty during my visit, this road leads to Lafayette Square and the White House.